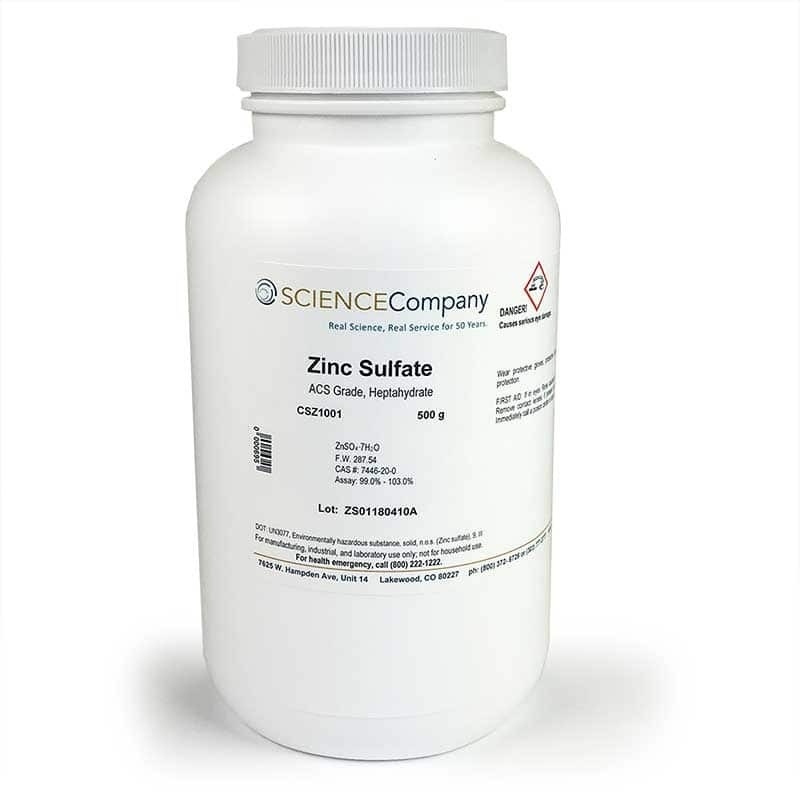 ACS Grade Heptahydrate Zinc Sulfate, 500gm for sale. Buy from The Science Company. 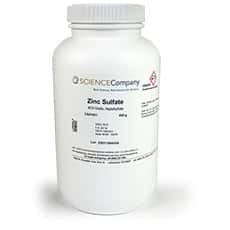 Zinc sulfate is colorless, odorless granular material. Astringent, metallic taste, efflorescent (loses combined water molecules on exposure to air). Soluble in water and glycerin. Uses include rayon manufacture, mordant and wood preservative. Useful in some metal patina formulas and science demonstrations.